Summer time is braai time! 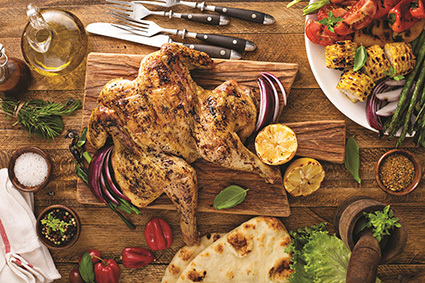 Riversmead’s wide selection of braai-ready chicken is full of flavour and ready for the fire. The range includes marinated flatties, spiced espetada thighs, kebabs, wings, drummets and tasty cheese grillers. “We pride ourselves in the fact that our chickens have no added hormones and are 100% grain fed, and that our family practices are as sustainable and green as possible,” says Riversmead Farm owner, Paul Apostolides. Riversmead Farm chicken is stocked in Spar, Pick n Pay and Food Lover’s Market. www.riversmead.co.za or follow them on Facebook or Instagram.